A study released in March of this year set out to answer these burning questions that the majority of online educators would like answers to. There’s considerable anecdotal evidence that favors both sides—it takes more time versus less time to facilitate an online course when using a face-to-face course as benchmark. The purpose of this study was to nail down the facts—to measure the perceptions of and actual time spent developing and teaching online courses. The findings are significant for institutions and educators involved in online education for several reasons. Professional development for one. The report reveals areas where survey-respondents struggled during the course development phase, and where the majority of time was spent when facilitating (the conclusions are surprising). Secondly, results may be helpful for institutions when considering compensation and work-allocation models. Institutions can use the results as benchmark, at the very least the study may act as catalyst for constructive conversations about compensation and support for online course development and facilitation. And finally, it may help online instructors gain insight into their own teaching experiences by considering the experiences of other educators that have experience with face-to-face and online courses. This post highlights the findings and suggests factors for educators to consider when it comes to, 1) the time spent developing online versus face-to-face courses, and 2) how much time is invested in online facilitation, and how it compares to face-to-face instructions. To put the results into context—the survey gathered data from 68 instructors from a total of 165 solicited from three universities across eight academic disciplines. Each respondent had developed an average of 2.13 online courses and had experience teaching an average of 2.03 online courses, and had been teaching at the university level for an average of 14.2 years (Freeman, 2015). Survey results confirmed that developing online courses is indeed more time consuming than developing face-to-face courses. Though the time required declines when the same instructor develops a second or third online course. Twenty-nine percent of respondents indicated they spend over 100 hours (median of 70 hours) to develop their (first) online course. This significant number of hours is likely due to the fact that 59% of respondents developed over 90% of the course without any assistance, which included developing content, assessments, assignments, and time associated with course design. The other 41% received course design support from instructional designer(s) and/or used ready-made content available through textbook publishers. 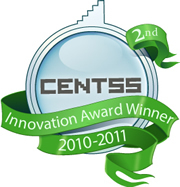 Also significant is the technological learning curve which was found to be shorter than the pedagogical learning curve, in other words instructors required more time to determine how to implement pedagogical methods, how to create learning experiences and deliver content appropriate for the online format than they did learning about the features and nuances of the technology used to deliver the course. The learning curve is described as the time it takes to “get used to” the course elements [platform, tech features] and/or the method of teaching. Developing a quality online course is complex due to the fact that technology adds yet another layer to course design and one that requires a unique skill set. In addition there is an interdependent relationship between technology and pedagogy specific to online courses—for instance the features of a LMS platform will determine and shape the course and the teaching methods. Using the discussion forum as an example—the flexibility of the forum feature—how easy it is to set up by the course designer for group assignments, and how it can be used by students for a group assignment whether it can facilitate the communication and collaboration that is required for the assignment will dictate how effectively the ‘method’ is executed in the course. Online course design requires a breadth of skills that includes technical knowledge, not only familiarity with LMS features, but also outside tools including social media platforms that can enhance student learning. Knowledge of user-focused design, or web design principles is also critical in delivering an intuitive, learning experience for students (How Five Web Design Principles Can Boost Student Learning). Second are the pedagogical methods, in other words how learning is sequenced, framed and presented to students. This array of skills required is far beyond the scope of most faculty, who are experts in their field of study, not necessarily course design. Realistically creating an online course requires at least two or more individuals with specific skills sets working together to develop an engaging, intuitive and quality learning experience. The onus is on institutions to provide not only professional development for faculty in course design principles and strategies, but to provide support in the technical and pedagogical aspects. Though respondents in the survey originally perceived that teaching online took more time than teaching face-to-face, by the third time facilitating respondents reported that it took them about the same amount of time as it did a similar face-to-face course. There is supporting evidence to the earlier finding that teaching an online course the second and third time becomes about as time-consuming as teaching a face-to-face course the second and third time. The factors that still remain more time-consuming for online teaching compared with face-to-face teaching, even after teaching the course three times, are Instructor-Student Interaction and Grading & Assessment, the two specific factors that can not be prepared in advance for online courses (unlike Content Development and Pre-Semester Setup). Sixty-nine percent of survey respondents indicated that it took ‘much more’ and ‘more’ time to facilitate an online class for the first time. Yet by the third time, it dropped to 25% in this same categories (table 4 below), which does support the learning curve theory. These findings suggest that acknowledging that more of the instructor’s time will be required the first and even the second time facilitating a course, is important for both the instructor and the institution. Though it does also suggest that professional development is needed for instructors—development focused on facilitation skills that will support skills specific to the uniqueness of online instruction. Such training can potentially reduce the learning curve for instructors, as well as reinforce the building of effective skills, best practices, and efficient use of time. Annotated screenshot that shows two-thirds of respondents by the third time facilitating online indicate that it took ‘somewhat more’, ‘more’ or ‘much more’ time to grade and assess students in an online course than face-to-face (Freeman, 2015). A startling (and significant) finding of this study is the time dedicated to grading and assessing online students. It appears that the time dedicated to grading students’ work actually increased from the first to third time of facilitating an online course (table 4). Two-thirds of the respondents indicated by the third time it took ‘somewhat more’, ‘more’ or ‘much more’ time to grade and assess students in an online course than face-to-face. I find these results encouraging since an instructor’s feedback of students’ work is a critical component that can motivate students, deepen their knowledge and push them to think critically (Getzlaf et al., 2009). Implications are that skill development in this area are needed and will benefit not only students but can help instructors to provide feedback more efficiently. There are several technology tools and applications that can help instructors achieve efficiency and to make the most of giving feedback using online tools that deliver meaningful, quality feedback for students (Morrison, 2014). Again professional development is needed in the area of grading and assessment to support instructors in their efforts. By no means is this study the definitive answer on the time requirements for developing and facilitating online courses, but it is an excellent starting point for conversations about ‘time’ needed to create quality online learning experiences. 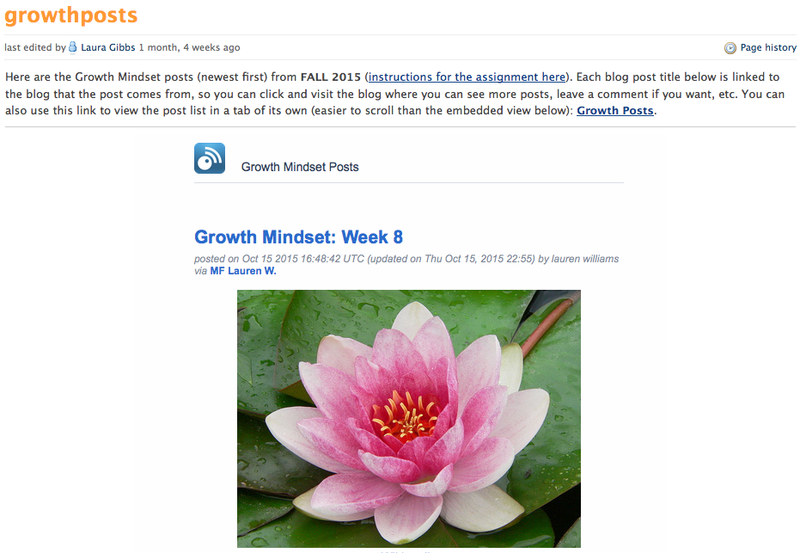 Course Design and Online Group Collaboration — What’s the Connection? Facilitating group work in an online course for instructors is often the most challenging aspect of teaching an online class. The amount of time invested by students and the instructor in the group process can be significant; unfortunately there’s often more time spent on logistics of the assignment than on meaningful learning. But there is a solution that significantly improves the process and the outcome. It’s course design. Effective course design, which includes the timing, description and instructions for the group project, is a determining factor in the quantity, quality and type of interactivity (Swan, 2001). Facilitation skills of the instructor is another factor, more so when the instructor uses a specific skill set that supports meaningful group interaction. In this post I focus on the course design component. Though I’ve written several posts about group work, I want to share with readers findings from a journal article “Creating Collaborative Learning Groups in an Online Environment” (Brindley, Waiti & Blaschke, 2009) that emphasizes the connection between course design and group effectiveness. Before I get to the practical applications I want to examine why creating collaborative assignments is worth the effort. First, there is considerable research that identifies a relationship between participation in collaborative group experiences and deeper learning. There is also a strong relationship between students’ acquisition of communication and collaboration skills (Brindley et al, 2009). Second, creating active learning experiences, and opportunities where “learning is more like a team effort than a solo race” meets two of the seven principles outlined by Chickering and Gamson in their seminal paper “Seven Principles for Good Practice in Undergraduate Education” (1987). Detailed instructions are essential for effective group work, as is a description of the activity’s purpose. If the instructor senses any degree of reluctance on the students’ part, he of she can encourage (via a news post, email, or recorded message) participation and emphasize the purpose of the exercise and the group process. By doing so, students are more likely to see the benefit of the process, and approach the assignment with a higher level of motivation. Clear instructions require details relevant to the assignment, and should include a description of behaviours associated with a contributing team member. Performance expectations of each group member is necessary. As is structuring the assignment so that it is achievable, challenging with enough time for completion. Yet giving learners’ some control over the assignment encourages ownership, responsibility, and increases motivation. Giving control may take the form of students forming their own groups, or allowing students to have a choice of how the groups are formed. Another strategy is including flexibility in the assignment where students can choose the topic, case study or problem scenario. A well-designed course provides parameters for the project, emphasizes its purpose, yet still gives learners an element of control through choice. 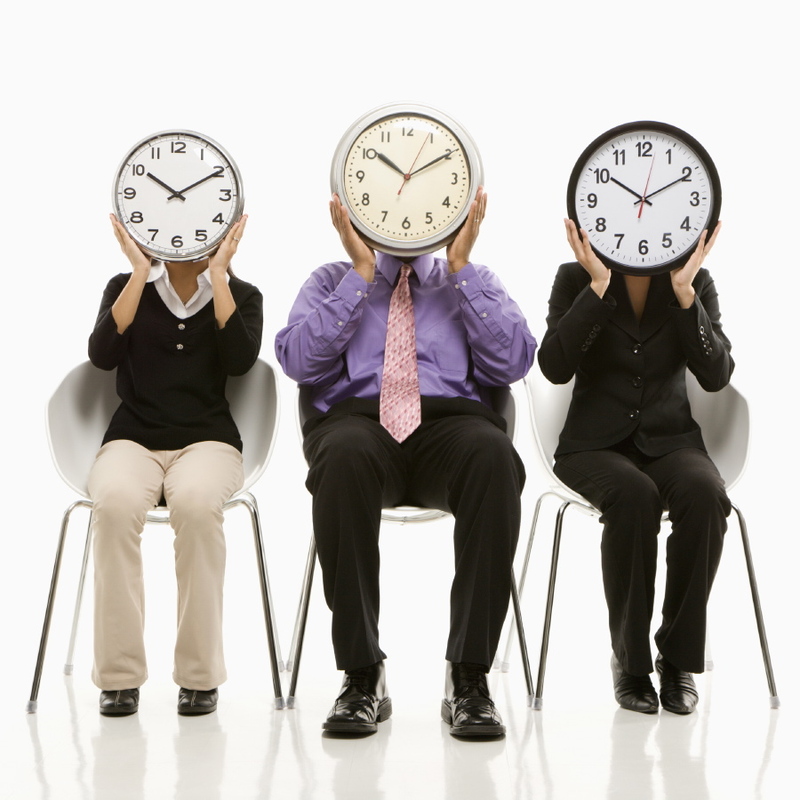 Timing of the group activity—how much time the group has to work on the activity as well as the due date plays a significant role in quality of the outcomes. Sufficient time for classmates to build rapport and establish a ‘presence’ in the class is also needed before group work can begin. Building rapport leads to developing relationships and trust, essential to a group’s effectiveness. Group’s also need adequate time to work on the project; asynchronous group work is challenging due to students’ differing schedules. It’s also helpful if students submit the project in phases over a period of weeks, e.g. first phase the choice of topic with description, second an initial draft before the final project submission. This provides benchmarks for the group and an opportunity for the instructor to provide feedback. 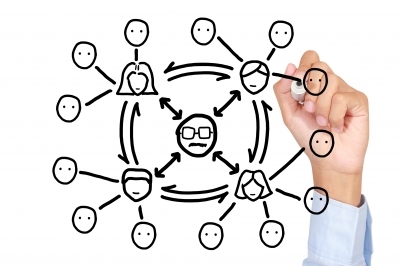 How groups communicate in an online course is another determining factor to the groups’ success. Learning and development of critical thinking is less likely to occur when technology is a barrier to communication. Guiding students to the best platforms for communicating synchronously and asynchronously is necessary, as is providing resources on how-to use the technology. Dedicating one section within the group instructions to “How to Communicate” that includes recommendations of platforms and tools is ideal. There are several good (and free) collaborative platforms: Google Docs, Mind42, and Wiggio, as well as brainstorming platforms for sharing ideas, Twiddla, Padlet for example, and synchronous tools for real-time meetings—Google Hangouts, Skype or Facetime. There is a strong connection between effective course design and successful group collaboration. Outcomes of a well-designed group activity result in students acquiring new knowledge, gaining different perspectives, and developing critical thinking and collaboration skills. In a future post about I’ll write about how to handle the non-contributing group member, which is a challenge for students and the instructor. Swan, K. (2001). Virtual interaction: Design factors affecting students’ satisfaction and perceived learning in asynchronous online courses. Distance Education, 22(2), 306-331. Retrieved http://www.tandfonline.com/doi/abs/10.1080/0158791010220208#.VQSo3BDF9so. This post examines four MOOCs completed as a student then de-briefed from a course design perspective—I share insights into what worked and what didn’t for the purpose of helping educators create better online learning experiences. I recently completed two MOOCs on the edX platform that are part of a mini-series on education policy. The courses are great examples of how higher education institutions misuse the MOOC format by using traditional teaching methods that end up falling flat. I debrief the two MOOCs from a course design perspective and share why they were sub par, uninspiring. I also describe two other MOOCs that provided exemplary learning experiences. The two pairs of MOOCs provide instructive examples of contrasting course design approaches. This post follows “How to Make Bad Discussion Questions Better: Using a Case Study of an edX MOOC” the first MOOC of the mini-series “Saving Schools: History, Politics, and Policy in U.S. Education”. I used actual discussion questions from this MOOC’s forums as examples of how not to write questions to foster student discussion. I rewrote the questions, providing better and best formats that would be more likely to encourage meaningful dialogue. The second edX MOOC, “Saving Schools: History, Politics and Policy in U.S. Education: Teacher Policy” wrapped up this week (December 4). Both MOOCs followed an identical course structure that included: recorded video lectures that relied on the interview format featuring one (sometimes two) faculty member(s), two assigned readings per week (from the same source), one discussion question each week, and a final exam. 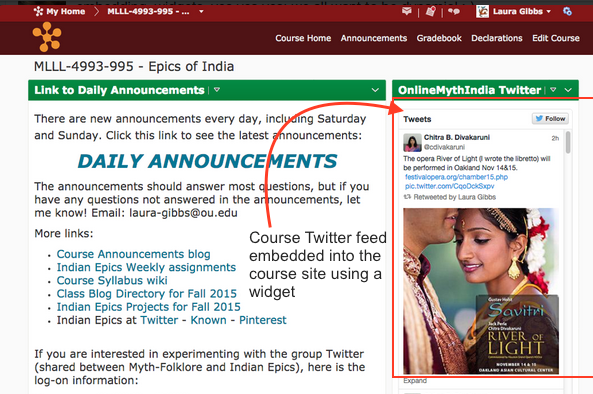 This format is typical of xMOOCs; one that tries to mimic the in-class experience. The other two MOOCs used a non-traditional design approach. They took advantage of what the MOOC format could offer by acknowledging its uniqueness and providing content from a variety of sources outside the MOOC platform. They also utilized a range of assessment methods, and included social media that encouraged interaction. Both MOOCs, Introduction to Sociology and E-learning and Digital Cultures (from Coursera), inspired and promoted thought. The learner was a viewed as a contributor, not a recipient. Introduction video of Professor Duneier introducing his course on Coursera (2012). Duneier pulled the course from Coursera after concerns over licensing his course for other institutions use. E-learning and Digital Cultures featured YouTube videos not lecture videos to demonstrate course concepts, along with articles, mostly from academic journals. 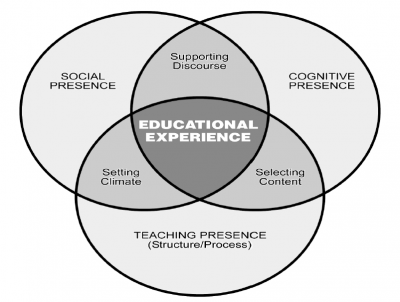 The learning experience closely resembled a cMOOC experience (the original MOOC format developed by Downes and Siemens)—one that leverages sources on the web, shares student blogs and views students as contributors. 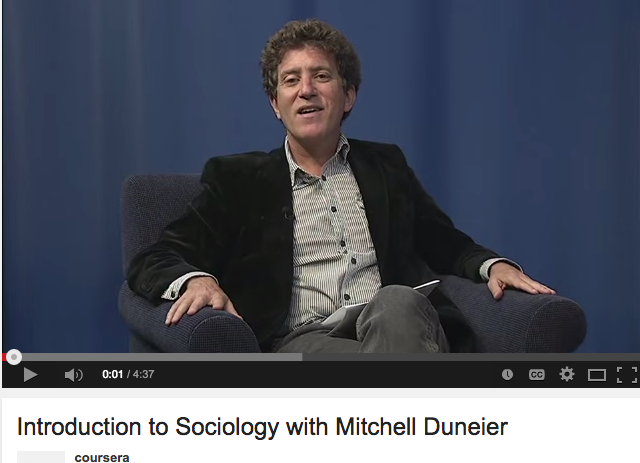 Introduction to Sociology featured two video formats; one featuring Professor Duneier, not lecturing, but sitting in an armchair (above) talking, sharing course-related experiences. He acknowledged learners (some by name) and encouraged student interactivity. The other was live (and recorded) using Google’s Hangout platform with eight students and Duneier leading a seminar discussion. The purpose of the following discussion about the edX MOOCs is not to criticize the course designers or faculty, but to consider the MOOCs as learning opportunities. Doing so aligns with one of the goals of edX, to use the platform to advance teaching and learning. Learning/instructional methods: The MOOCs relied upon mostly traditional methods of instruction—lectures, multiple choice assessments. Content was instructor-centered, limited to lectures (featuring faculty member), textbook readings (from a book written by same faculty member), and articles from one source, Education Next, of which the same faculty member is editor-in-chief. Learning was confined to a virtually, walled classroom—inside the MOOC platform. 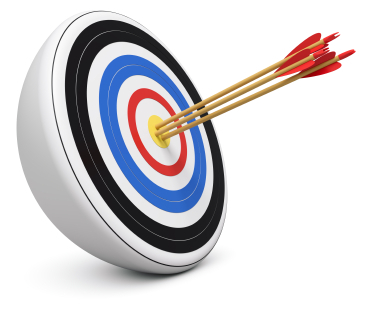 Course Objectives: There were no learning goals outlined for the MOOCs. There didn’t appear to be a focus for each week, or guiding questions to provide structure. Granted, learners should create their own learning objectives when working within a MOOC, though a stated focus or general goals for the course allows learners to establish and shape their own learning goals. 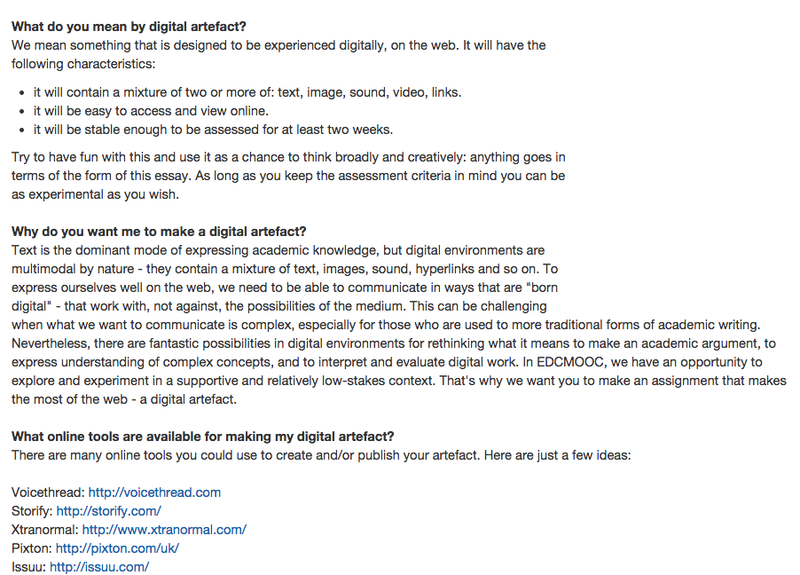 E-learning and Digital Cultures provided an overview of the course which outlined the focus for each unit of study, and each week included focus questions to consider. Rigor: Course rigor was low. Disappointing given the institution behind the MOOC was Harvard. It’s worth noting at edX’s launch in 2012, the Provost of MIT at the time L. Rafael Reif emphasized the rigor and quality of courses on ex’s platform ”(edX courses need) not to be considered MIT Lite or Harvard Lite. It’s the same content” (MIT News). Yet the discussion questions as outlined in my first post, the biased readings, lectures, the application activities for students did not add up to a rigorous learning experience that encouraged critical thinking. Several factors may have contributed. Suffice to say that the course design team would have benefited from someone with a high-level of expertise in effective course design principles, knowledge of learning theories and instructional methods. Content: As mentioned the majority of the content was limited to the faculty member in the lectures, two or three chapters of a book authored by the same faculty member, and essays from the one source. Biased resources did not contribute to learner’s considering multiple perspectives. Though in the second MOOC there was an effort by course facilitators to incorporate other perspectives in the discussion forums. Lecture videos were long — typically 12 to 15 minutes. Research on MOOC videos suggest ideal length is 4 to 6 minutes (Guo, 2013). Repetitive Content. Content from the readings were also included in the lecture, and frequently two interviews in the same lecture covered the same content. Delivery methods of content were repetitive, uninspiring. Content came across as telling, not interactive. Application activities: There were few activities for learners to engage in except for discussion forums. Unfortunately the questions in the first MOOC did not encourage robust discussion, though they improved in the second course. There were two or three multiple choice questions after each video. Several questions could be considered common knowledge. I could have answered the majority of them without watching the videos. Screen shot of a forum discussion question from the MOOC “Saving Schools: History, Politics and Policy in U.S. Education”. A close-ended question, and one not likely to stimulate thoughtful discussion. In my previous post, “How to Make Bad Discussion Questions Better” I provide examples for more effective questions formats. The pairs of MOOCs illustrate how varied approaches to MOOC course design significantly impacts engagement levels, perceptions and learning outcomes. The edX MOOCs examined here, typical of the majority of MOOCs, relied upon learning methods that failed to leverage the benefits of an open platform, failed to view as students as knowledge sources and contributors. Over time the MOOC format will no doubt settle into something quite different from what we’re experiencing now. A format that will find it’s purpose, engage learners and build bodies of knowledge that benefit all. This post examines three actors that are essential to student success in online courses: 1) the institution, 2) the instructor and, 3) the student. What contributes to student success in a course delivered online? To consider the question from a different perspective one can pose the question this way—who is ultimately responsible when students are not successful—when they fail the course for instance? Is it the student for not having the discipline for online learning? The instructor for not providing support, or the institution for not providing services to support the online student? These are questions worthy of examining at a philosophical level, though in this post I examine select behaviours and strategies associated with the three actors involved in the process of students learning online, 1) the institution, 2) instructor and 3) the learner. What Contributes to Student Success? Before examining the three actors roles in the learning process it’s helpful to identify the factors contributing to student success in online environments including the skill set required. It’s also instructive to acknowledge that there is an underlying expectation that students enrolling in online courses are self-directed and capable of managing the tasks associated with online studies. Yet research and feedback from educators reveal something quite different; many students are unprepared to learn online, lack the basic skills, and are not capable of assuming responsibility for their learning. Online course work requires that students use a range of skills including accessing resources, people and content within a network, analytic and synthesis skills to distill relevant information from an abundance of information and resources (Kop, Fournier, & Mak). Though as mentioned, it’s not uncommon to find students lack some, if not many of these skills. Not only are students often unprepared, but institutions often fail to prepare faculty and instructors for online facilitation. A starting point in boosting student success is identifying the behaviours associated with each of the three actors. One characteristic of institutions offering successful online programs is their ability to support the unique needs of distance students through a student support services function. As online programs evolve and mature we now have numerous programs to examine and study. Though each unique, there is a common theme—a focus on the students by acknowledging their diverse needs and challenges of studying online. Below are select examples. Services for online students need to be customized, re-tooled from those provided to traditional students. Services should include technical support, academic advising, online community programs and clubs, library services and career planning. Some institutions have gone further and developed programs that offer personalized academic support, SUNY Empire State College for example offers a peer tutor program. This program is unique, it’s not a subject matter coaching program, but a mentoring program where the goal is for tutors to help students identify and implement strategies that promote independence, active learning and motivation. Rio Salado College developed an orientation program “Creating College Success”. It’s a one-credit course delivered fully online. The goal of Rio Salado’s program is similar to that Empire State’s—student self-sufficiency in academic environments. Penn State World Campus, one of the first universities to deliver online degrees has a comprehensive roster of services for virtual students. One service that all institutions should consider is offering extended hours for technical and academic help via email, phone, or instant messaging. Western Governors University is one that offers not only academic and technical support, but wellness services through its Well Connect program where students can call a toll-free number any time of day or night for support including personal counseling, legal and debt counseling, new parent transitioning support and more. 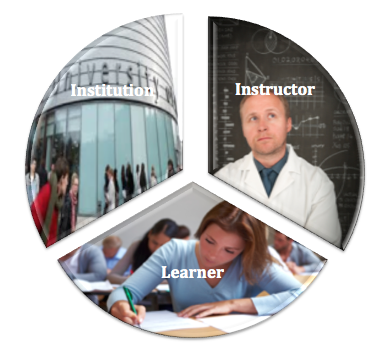 There are two areas that fall under the instructor support: 1) course design, and 2) instructional support. The instructor’s role in online courses will vary depending upon the nature of the course, but more importantly instructor behaviours will be a function of the level of students educational background and students’ skill level in the areas mentioned above (collaboration skills, technical, etc). To assess what level students are at when entering the course, ideally the instructor does so through involvement in discussion forums, course introductions, synchronous activities, etc. that allow the instructor to get to know students. Instructors also can do so by reviewing student work early in the course so he or she can provide detailed feedback, challenge the student, suggest external writing support as needed, etc. The goal is that the instructors focus on challenging students academically in the course via feedback and interaction; individually and as a class. Support for technical, research, or basic academic skills should be provided by the institution, via support services. Institutions should also offer professional development courses, workshops or resources to support online instructors and faculty in course development and instruction. The student is ultimately responsible for his or her success in the learning process; it is up to him or her to leverage the resources of the institution and the support of the instructor. There is an effective tool however, a leader readiness questionnaire, that many institutions make available on its website which identifies the skills and tools students will need to be successful with their online studies. Also the concept of giving the responsibility of learning to the students, is another method to encourage success—letting students know they are ultimately responsible. Below are links to several learner readiness questionnaires provided by various institutions, one is licensed under the creative commons share alike license which makes it available for use to anyone. In a follow-up post I review tools and resources available on the web that support the development of the skill-set students need for online learning. Readers may also find a previous post, Five-Step Strategy for Student Success with Online Learning helpful— it outlines behaviours associated with successful outcomes for online students. Supporting student success in online course work begins with the institution—ideally with a strategic plan that includes a system for provision of administrative services, academic counseling, and support specific to online students, as well as professional development and comprehensive resources for faculty and instructors teaching online. Yet to maximize the value of the support offered by the institution and instructor, the learner needs to own the learning, and know the responsibility for success ultimately rests with him or her. The above quote from author and motivational speaker Tony Robbins sums up Dr. Richard DeMillo’s presentation The Fate of American Colleges and Universities delivered in May of last year at Dartmouth University. Readers might be familiar with DeMillo—professor of computer science, speaker, author of several articles and books including Abelard to Apple: The Fate of American Colleges and Universities (2011). He currently serves as Director of Georgia Tech’s Center for 21st Century Universities. His talk carried a similar message that’s outlined in his book— ‘colleges and universities in the Middle will need to change—and if they don’t they’ll be headed for irrelevance and marginalization‘ (MIT Press). It’s been three years since the book’s publication and many of his warnings about higher education appear close to reality. In the book and in his talk at Dartmouth, DeMillo doesn’t candy coat his message, wrap it up into a more digestible form, but serves it straight. Though the message may be grim, the education sector needs individuals like DeMillo with their extensive experience and knowledge of higher education to tell it like it is. Granted, some will say DeMillo is wrong, is only making predictions and value judgements. However, three years after Abelard to Apple’s release, events described are no longer predictions. DeMillo describes leaders’ reactions to what he has to say—some are open, eager to look for ways to adapt to change and move forward, and others are unaware, dismissive, or even defensive. But many institutions are listening, are opting for progress, embracing change and striving to remain relevant. Below I share four examples of institutions that are choosing to implement strategies for change. Some projects are complex, are institution-wide, engaging the majority stakeholders. Others are on a smaller scale, yet no less bold. Readers may question whether all initiatives are progressive, a way forward. Some appear to be going backward, as the University System of Georgia where several institutions are merging, resulting in some institutions names disappearing altogether. Though institutional leaders of these schools might say that it is progress for the long-term, with changes in the short-term that are difficult. Below are descriptions of the strategies of each, and related links to outside sources with further information. Strategy: Universities are beginning to seek funding support for undergraduate programs by partnering with corporations and other private institutions to build infrastructure and curricula for specialized degree programs. Companies are motivated to do so, hoping to fill skill gaps within their own workforce by creating a pool of educated potential candidates. This initiative is part of University of Maryland’s overall plan to remain financially sustainable, and relevant; it has also cut costs by eliminating seven varsity sports teams and forcing faculty and staff to take furlough days. Strategy: Dartmouth University provides an illustrative example of an institution seeking to embrace change and prepare for the future by implementing a comprehensive strategic planning effort. Dartmouth’s end goal—’to identify significant opportunities and challenges as we consider an ambitious and forward-looking course for Dartmouth’s future.’ The website describing the program is detailed, sharing many resources, including the recorded talks of experts and scholars as part of the Leading Voices in Education series of which DeMillo was one. The two-year effort involved over 3,000 stakeholders including faculty, administrators, staff, students and alumni, and assigned nine working groups a topic to research, report upon and develop recommendations for. Impressive. To learn more, you can read Dartmouth’s Synthesis report of ‘Beyond Forward‘. Other institutions that have implemented a similar strategic initiative and shared the process are Georgia Tech University, Brandeis University, and Brown University. 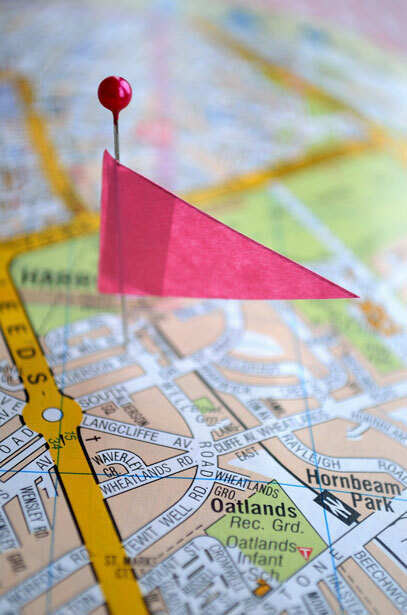 Strategic planning is the first significant phase of opting for progress, however putting the plan into action—the execution of the plan requires more than talking about and planning for change, it’s about making it happen. Action. Strategy: The primary motivation for education institutions to merge is to realize costs savings through sharing of administrative expenses common to each, i.e. finance, human resources, facilitation services, IT, etc. Universities merging is not new. There’s been several examples of institutions coming together over the years. Though recent mergers are on a large-scale. Not two institutions merging, but in the State of Georgia’s case, eight in all since 2012. As you can imagine, these actions are drastic, messy, often chaotic and stressful for all involved. Even more so when communication is poor, which it usually is. Though perhaps necessary to remain viable, and may be a way forward, no doubt it must appear institutions are taking several steps back. Successful mergers require a tremendous amount of planning, communication and diplomacy. Merging Into Controversy, Inside Higher Ed (2014). 4. MOOC-Inspired Initiatives. Penn State, flex-MOOC and Georgia Tech Institute. Strategy: There are a few institutions seeking to use the MOOC format to seek sustainability for the long-term. Even though MOOCs continue to enroll and engage thousands of students, few higher education institutions have demonstrated how MOOCs will contribute to its sustainability, relevance, and direction for the future (more so when there is no strategic plan for the future). Two schools that are taking a step forward are Georgia Tech with its Online Master of Science in Computer Science and Penn State. Change will happen. It is happening. 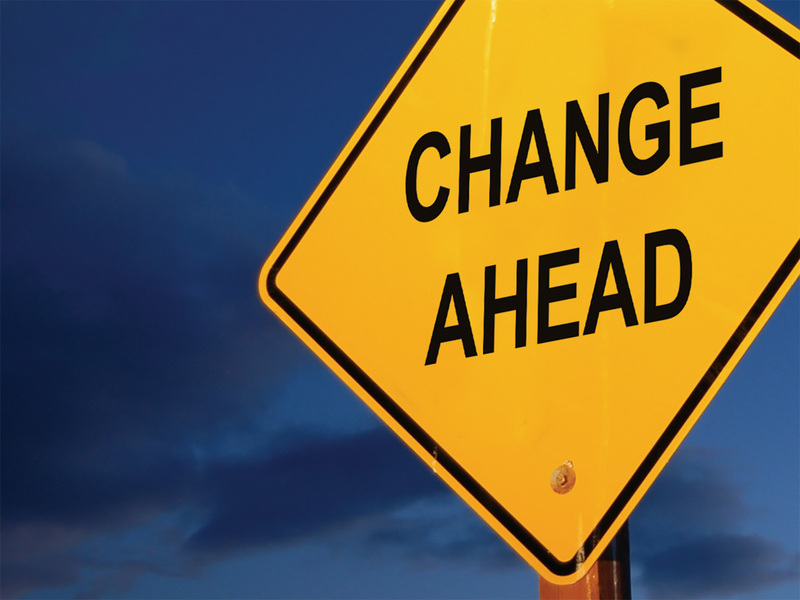 Examining how institutions handle change, move forward is instructive. Is not changing an option and the right thing to do? Possibly. But making a decision not to change but is backed by a strategy, makes sense, not changing with no strategy doesn’t. 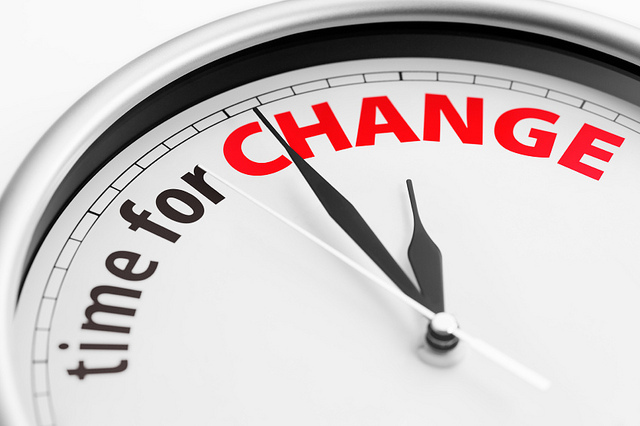 How does your institution deal with change?